I am often asked about how my devotion to Saint Gemma came to be, and although I have had this website for three years, yet I haven't really shared the story of my devotion to Gemma and how I came to know her, so here it is for those who are interested. 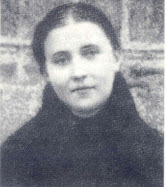 I came to know Saint Gemma around March of the year 2000 because my wife and I were looking for a name for upcoming baby girl (our sixth child) who was to be born in April. We wanted to name her after my wife's mother, Jacqueline, but she did not want us to since for some reason she was not really fond of her name. So we thought maybe we can look to see who her patron Saint was, that is, the Saint whose feast day fell on her birthday, which is April 11th. 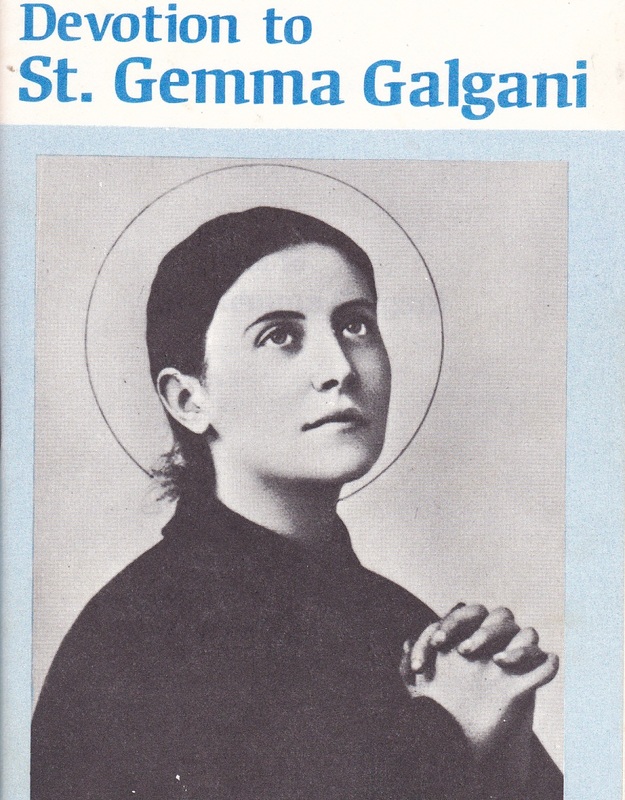 So, I went on the internet and searched for the Saint whose feastday is April 11th---and there she was--Saint Gemma! I had never heard of her and I started reading a bit about her, and I remember how enraptured I was while reading about her extraordinary love for Jesus, and how she sacrificed and suffered everything for Him. I immediately came to admire her for her complete giving of herself to Jesus--how she loved Him with all of her heart. 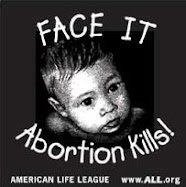 And I thought to myself "now THIS is how God is to be loved, not with lukewarmness, but with all of ones soul!" And so began a fast friendship with my new heavenly friend Gemma. I began reading more and more about her, seeking to try at least a little in some small way to imitate her heavenly virtues and love for Jesus and Mary. 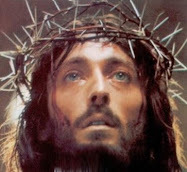 And I remember reading the autobiography that she wrote and how I became enraptured with this "Gem of Christ". Then too I remember seeing her photographs for the first time---what love, peace and purity radiate from those eyes and that unforgettable face! Not long after I first became devoted to her someone mentioned that maybe I should get a 1st class relic of hers, and at that time I did not have any relics at all, and I remember thinking that it seemed strange to keep for oneself a piece of a Saints body. However, little by little the desire for a relic of Gemma grew, and eventually I sought one out by writing numerous Passionists throughout the country, and one very kind Passionist priest offered me not one relic, but two!----and they arrived precisely on St Gemma's birthday, March 12, literally right at the time that my family and I were saying a rosary! 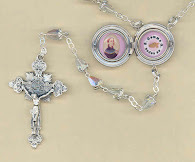 This was, I believe a heavenly birthday present from Gemma, and since then I have been wearing one of the relics in a locket on a necklace, so in this way Gemma is always very close to me in a special way, I believe. The thing one soon discovers though about having Gemma as heavenly friend is that she will often inspire one's conscience and correct one faults by pointing out in ones mind what is displeasing to Jesus in one's thoughts, words or actions. These "admonitions" as I call them take place in one's conscience--in one's thoughts---its difficult to explain precisely, but it is a sense of knowing what is pleasing (and especially displeasing) to God in ones thoughts, words or deeds. What happens is that at times when one is committing a particular sin, or is tempted to, suddenly one area or another of Gemma's life pertaining to that sin will be brought to one's mind as an example to combat the particular sin or temptation involved. While the source of all good inspirations and heavenly admonitions is God, the "instrument" or "intermediary" through which one receives these heavenly inspirations can be for example one's guardian angel, the Virgin Mary, or one's patron Saint. And those who are "captured" by the Gem of Christ and seek her heavenly friendship will soon discover that have befriended a Saint who will seek to lead one closer to Jesus firstly and primarily through the correction of ones faults. And without a doubt Gemma will also obtain the necessary graces from her Jesus for her clients spiritual and material needs. And surely along with one's guardian angel she will also protect her clients from the snares of the demons. But first and foremost it seems that through the grace of God Gemma will lead one closer to Jesus by guiding and inspiring ones thoughts in the correction of sinful behaviors. Again what often happens is that one area or another of Gemma's life will be brought to one's mind as an example to combat the particular sin or temptation involved. This at least would be my experience with Gemma's heavenly intercession anyway. A personal example? --I will use one that happened just this afternoon. I reluctantly went to confession with my wife and children--I say "reluctantly' because there were two different sins of impurity that I had committed since my last confession that I was extremely embarrassed to have to confess before the priest. I thought perhaps that I would just omit them, since sins of impurity are a subject of such a sensitive nature and are very difficult to discuss. While without a doubt the grace of God and also one's conscience both play a role in such circumstances, but I know that there is also the intercession of ones heavenly "guides" in circumstances such as these. It is almost as if I can "hear" Gemma admonishing and encouraging me to confess what I had made up my mind not to confess. What to do? I knew I didn't want to walk out of the confessional knowing that I displeased both God and also my heavenly friend Gemma....and so it was that Jesus an Gemma won the day, and I confessed that which I was not planning to. I know that those who have besought Gemma as their heavenly friend know well what I am saying. And for those who have just discovered this "Gem of Christ", be assured that you have been led to a Gem of great price--a heavenly friend and advocate who will lovingly inspire, guide and protect you, and tenderly lead you ever closer to Jesus, her beloved Spouse. I would also like to relate another story of Gemma's heavenly intercession. A couple of weeks ago (March 14, 2012)I went with my wife to visit a specialist due to an ongoing minor medical problem that she has been experiencing for quite some time. It is nothing major, thanks be to God, but she knew that there was a good chance that she would need minor surgery, and of course my wife was understandably reluctant at the prospect of having to undergo that. So while she was in the doctors office undergoing a diagnostic test, I spent part of the time praying to St. Gemma in particular, asking her to take care of my wife concerning this health problem, and to inspire and guide the physician in her diagnosis and treatment. In other words, I was placing the matter into Gemma's hands, and I was asking her to guide and arrange things according to God's holy will. Given my prayers to Gemma at the beginning of this affair it is impossible for me not to see the hand of God and the intercession of St Gemma in the incredible arranging of these dates, the beginning and the end to fall precisely on her 2 feast days. God is good, and may He be blessed in giving us His Saints to help, guide and inspire us. Blessed be God! Hello Glenn, I discovered this site about a week ago,when I unexpectedly discovered a mutual friend...St. Gemma. I have been pouring over the site and thanked you in another comment, but the discussion was from last year so I wanted to add this one. I was looking for a book about another Saintly friend and found by accident on the site a book of her life. Who is this? I thought. Well I became interested fast and landed on this site! Over the past week she has been working on me. I am one week away from total consecration to Jesus through Mary (St.Louis de Monfort's way) and I asked in prayer yestereday, why has she chosen me? Or why God,have you sent her to me? The answer was swift, because the last week of the preparation is on the Knowledge of Jesus! 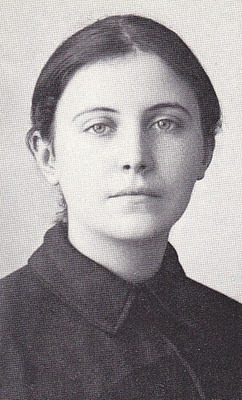 It fit then, whom else to teach me about Jesus and how better to know and love him than St. Gemma Galgani! Thank you Glenn you were part of heavenly providence in my spiritual walk. She has admonished me, comforted me, and protected me. Pray for us St. Gemma. I have put an image link on my poetry site to this site Glenn.